It's been in the works for a while, and it has just been officially announced: on occasion of the 50th anniversary, 2001: A Space Odyssey will be back in theaters. A new, "unrestored" 70mm print, whose production has been overseen by Christopher Nolan, will be unveiled at the Cannes Film Festival on May 12, introduced by the director. The screening will also be attended by members of Kubrick’s family, including his daughter Katharina Kubrick and his longtime producing partner and brother-in-law Jan Harlan, and also by Keir Dullea. 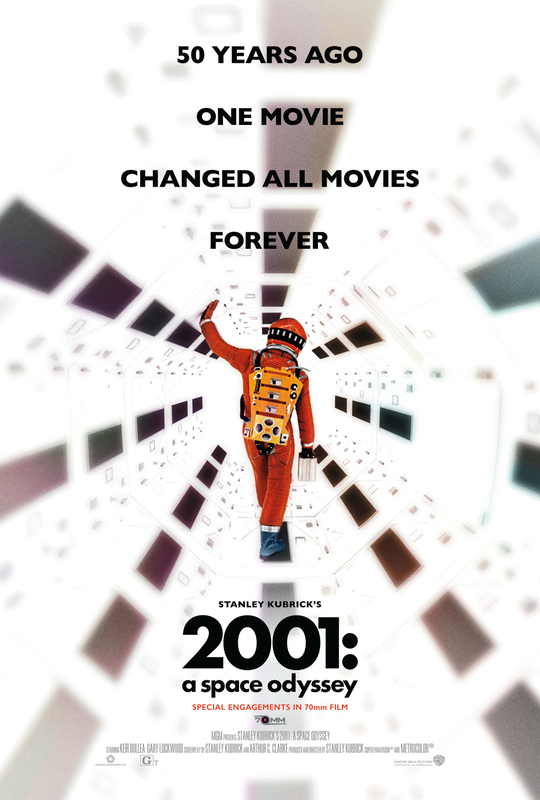 2001 will return to select U.S. theatres in 70mm beginning May 18, 2018. No news yet about releases in the rest of the world (either in 35mm, digital or 70mm). Also, the 4K UHD Blu-ray (now disappeared from Amazon US and France) will be now released in "the fall of 2018". For the first time since the original release, this 70mm print was struck from new printing elements made from the original camera negative. This is a true photochemical film recreation. There are no digital tricks, remastered effects, or revisionist edits. This is the unrestored film that recreates the cinematic event audiences experienced 50 years ago.